The Heroic Story That Stands Tall and Proud Among the Screen Giants! Odd Western about racial intolerance focuses around Kiowa claim that the Zachary daughter is one of their own, stolen in a raid. The dispute results in other whites’ turning their backs on the Zacharys when the truth is revealed by Mother. 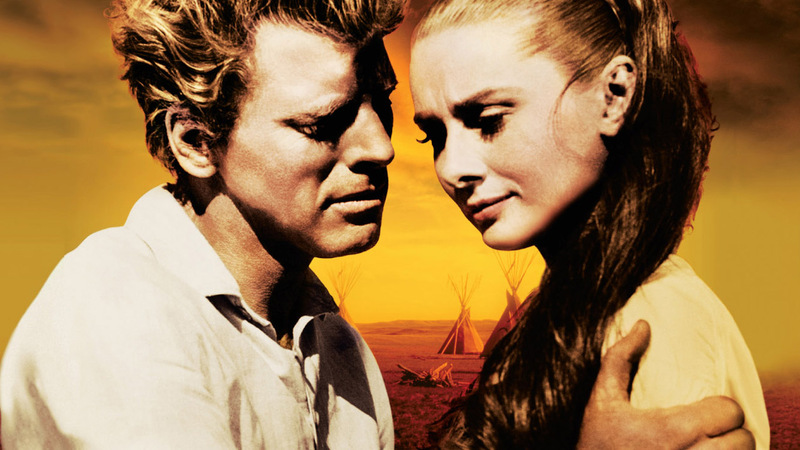 Murphy plays Cash, the hotheaded brother who reacts violently to learning his “sister” is a “red-hide Indian.” He leaves the family but returns to help them fight off an Indian raid during which Hepburn kills her Kiowa brother, thus choosing sides once and for all.